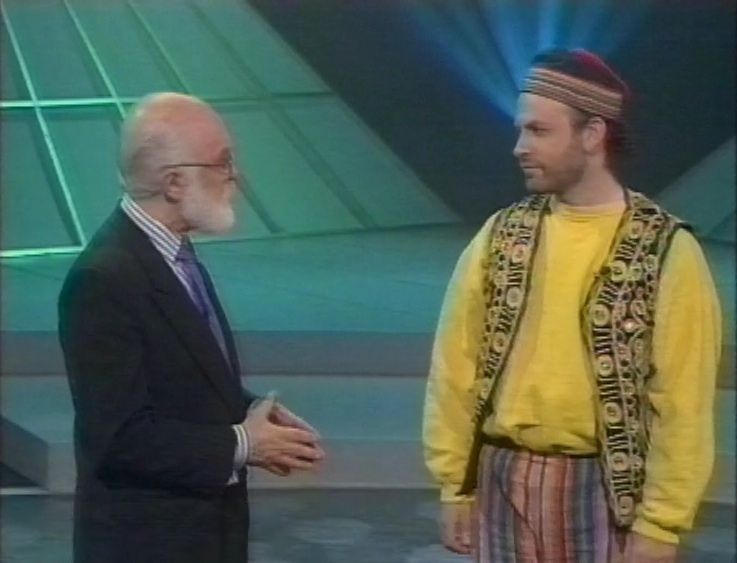 in 1991, Granada TV produced this six part series where James “The Amazing” Randi sought to investigate the claims of psychics, mediums, dowsers. It surprised me at the time, since TV tended to always side with the believers, especially in a primetime ITV show. However, any show fronted by Randi is not going to take it easy on the participants. It’s a strangely awkward show – edited very choppily. Each show is only 30 minutes long, and they cram in lots of different items to each show. 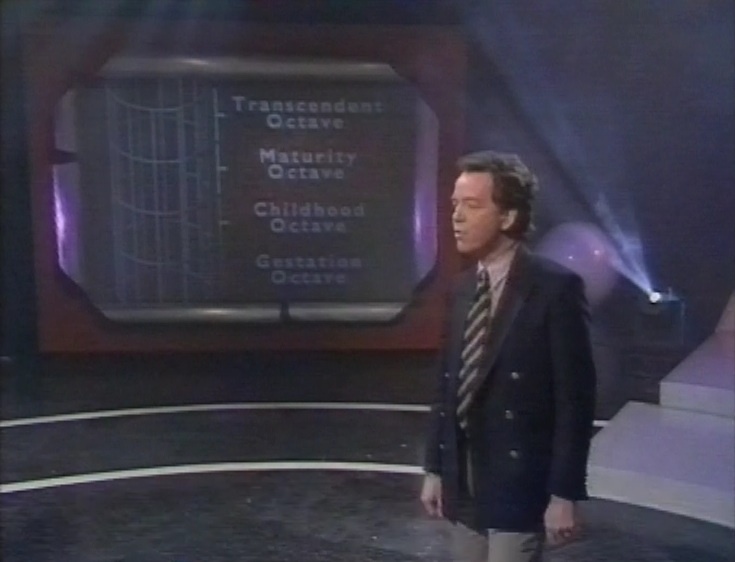 i think the studio audience format doesn’t lend itself to these kinds of investigations, but full marks to Granada for producing the programme, and by doing the right thing in getting Randi to host it. So, strap in, because this is one of the longest entries I’ve written yet. I hope you find it interesting. 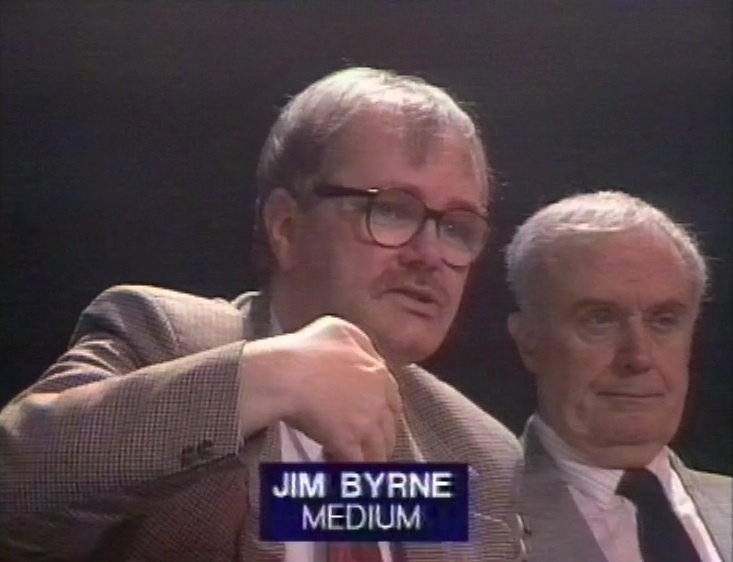 It’s interesting that many of the studio audience are themselves mediums or otherwise, and the programme is careful to indicate them as such when they are responding to the medium’s questions. 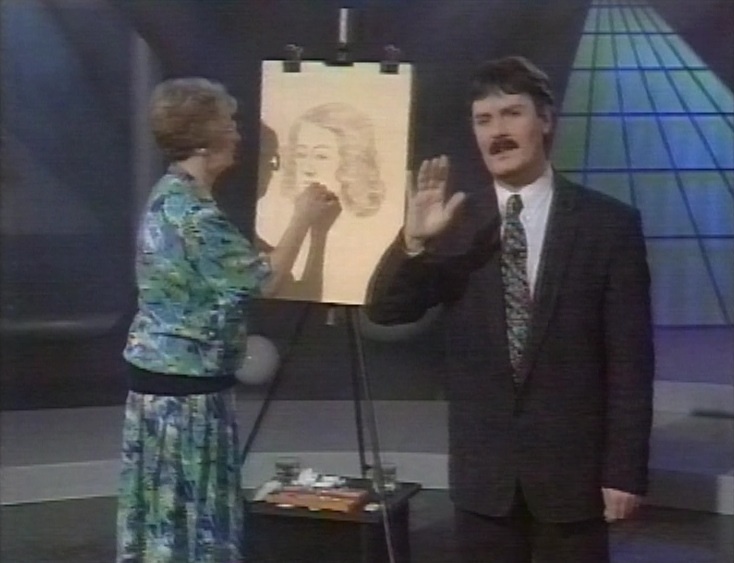 When Randi asks the audience how many people recognise the picture drawn by Coral, ten people say the face looks familiar, despite Coral claiming it would only mean something to one person. Next, because it’s a Granada production, presumably filmed in Manchester, Randi takes the opportunity to visit Cottingley, in Bradford, the location of the famous Cottingley fairies hoax. Another medium, Maureen Flynn, does another cold reading for the room. Again, hit and miss, with some success. But when Randi polled the audience asking how many people recognised the name given or the medical condition, 30% and 55% of the audience connected with those suggestions. He also talked to a man who had had a personal consultation with Maureen, and who was very satisfied with it. He said that she mentioned ‘maybe half a dozen names’ to him during the consultation, but Randi’s team listened to a tape of the consultation and counted 37 names, plus ‘any name beginning with an N or an L’. The client seemed upset having the general and ‘guessy’ nature of the reading pointed out to him – but not with Maureen. As is so often the case, true believers really want to believe, and don’t like it when skeptics point out the flaws. Because the audience contains plenty of believers, we get a lot of discussion from them. 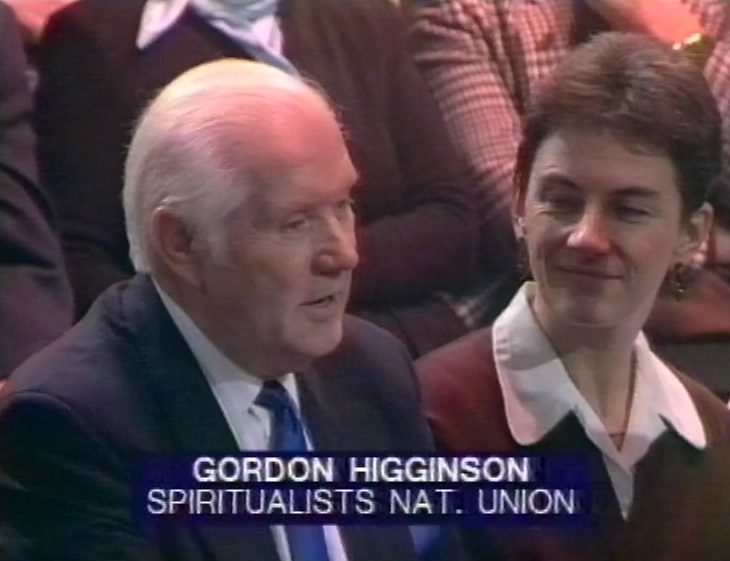 Gordon Higginson of the National Union of Spiritualists says “I’ve been a medium for 60 years, and I’ve always said if I give a 70 or 80 percent perfect demonstration, I do very well.” Of course, he gives no indication how he measures that percentage. 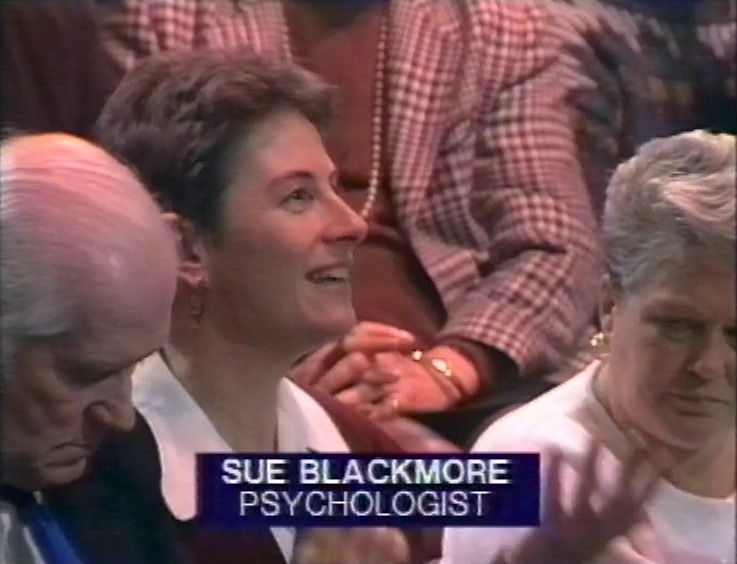 There’s so much special pleading from the psychics that it’s a relief to see Sue Blackmore say something, even though she’s very polite and open-minded. 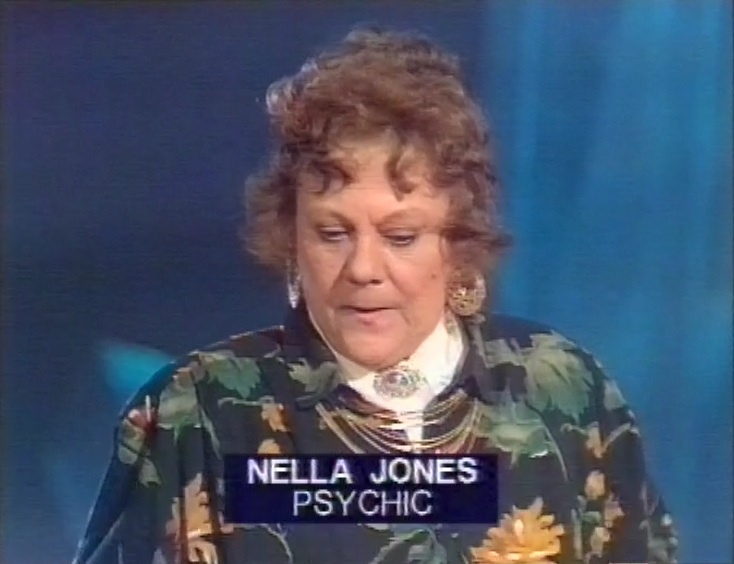 The next practitioner Randi looks at is Nella Jones, who can sense the history of objects, and determine whether they’ve been involved in a violent crime. She’s not very impressive, she got nothing from three of the six objects, and incorrect information from the other three. Her defense? “You’re trying to explain what I do with logic. What I do is illogical.” Take that, science! Randi talks about the shameful history of psychics getting involved in high-profile cases, leading investigations the wrong way, wasting everyone’s time and, possibly worse, giving false hope or false upset to relatives. 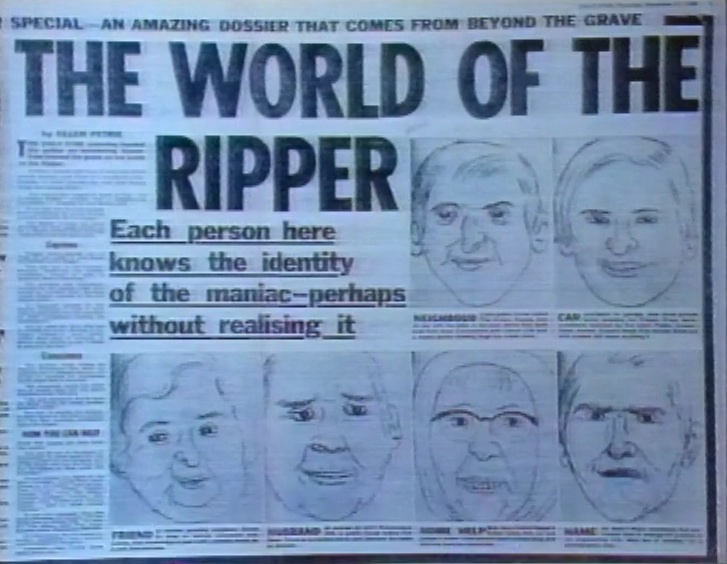 There’s a ludicrous spread from the Daily Star which purports to show the faces of the Yorkshire Ripper’s friends and family – as drawn by a psychic artist (although nowhere near as good an artist as Coral from earlier). He speaks to the mother of a young boy who went missing two years ago, who had gone to many mediums, some who told her he was alive, others said he was dead. It’s very sad. Luckily, kind souls have uploaded the programmes to Youtube so you can enjoy them. Here’s the first episode. There’s a transmission glitch with the second episode, as it starts without audio. It takes about three minutes for them to fix it, but they don’t go back to the start, so I wonder if it was isolated to the Thames area. 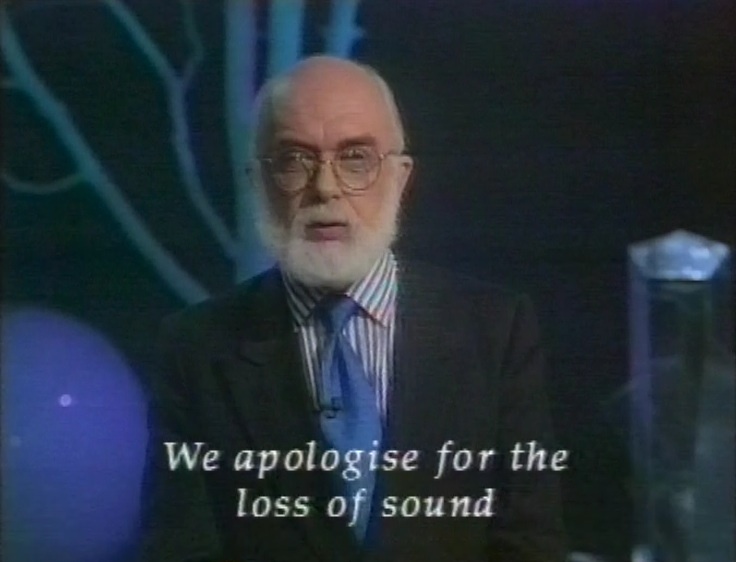 I suspect not, since another YouTube video of this episode also has the sound loss, but a different apology caption to the one I’ve got recorded. The first astrologer up to the block is this man, Jonathan Cainer. Dressed like this, he might as well have written ‘knob’ on his forehead. When Randi asks how everything he writes about, say, capricorn will really happen to one twelfth of the population, and he’s actually got an answer to this. His task was to prepare a horoscope for someone given their date and place of birth. He gave a waffly, generally applicable set of statements, including ‘extrovert, unusual, larger than life’, ‘full of confidence’, ‘professorial’, ‘zany sense of humour’. 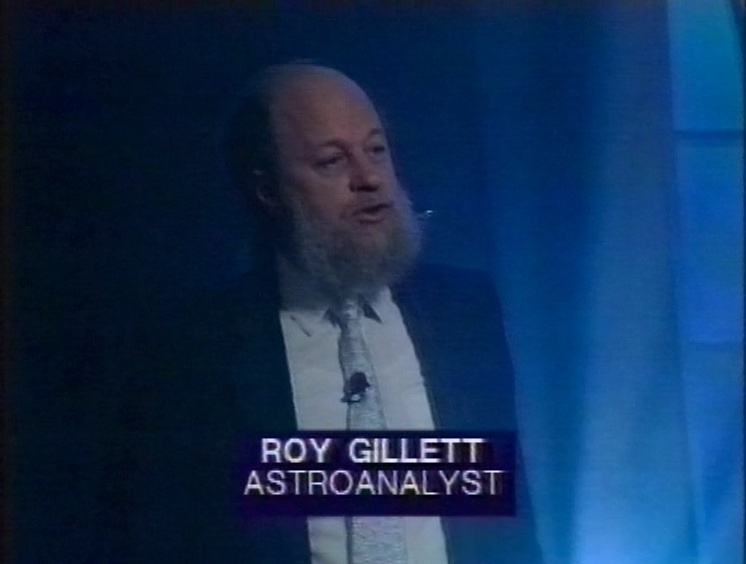 The next segment looks at ‘financial astrology’ with ‘Astroanalyst’ Roy Gillett who casts the horoscopes of companies and invests accordingly. I wonder if this is really a thing. 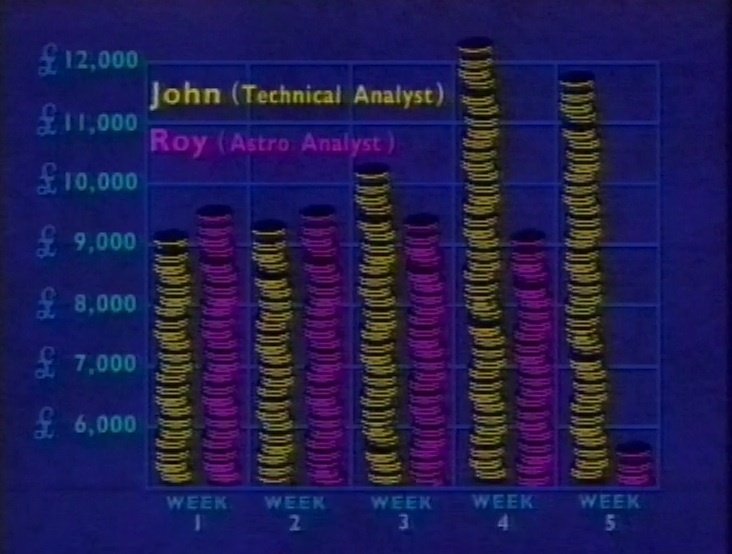 Roy himself admits that although he’s been an astrologer for many years, he’s only been studying the market for a year, and this is the first time he’s done any real trading. He’s pitted against technical analyst John Piper, who does this for a living, and they were asked to take £10,000 and invest it over a period of a month. Here’s how they got on. And some of his visual aids were too ridiculous to show in full. According to James Randi’s book that accompanies the series, Mann’s appearance on the programme was contingent on his being able to lecture the audience about his particular theories. He does the charts for two people in the audience, novelist Jilly Cooper and columnist Nina Myskov and they have to say if the times and events in the charts correspond to their lives in any way. There’s not a lot of hits, although Nina Myskov is incredibly impressed that he mentioned a relationship in November 1979, and she interprets that as meaning the time she met her therapist, ignoring that he said it was possibly “the desire to have a family”. 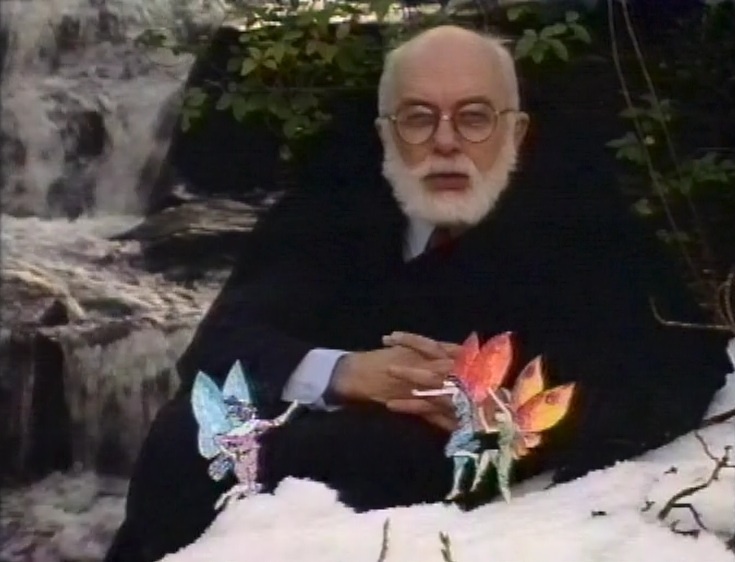 In the original script (as shown in Randi’s book) he had written that it was the birth of children, but when it came time to read out the prediction on the show, he knew who the readings were for, and omitted the children comment, possibly because he knew Myskov didn’t have children. Two astronomers have their say, one declaring astrology to be nonsense, but the other seeming to suggest that, because the sun sends a lot of energy our way, this might have some unspecified but presumably predictable effect on organisms on the Earth. 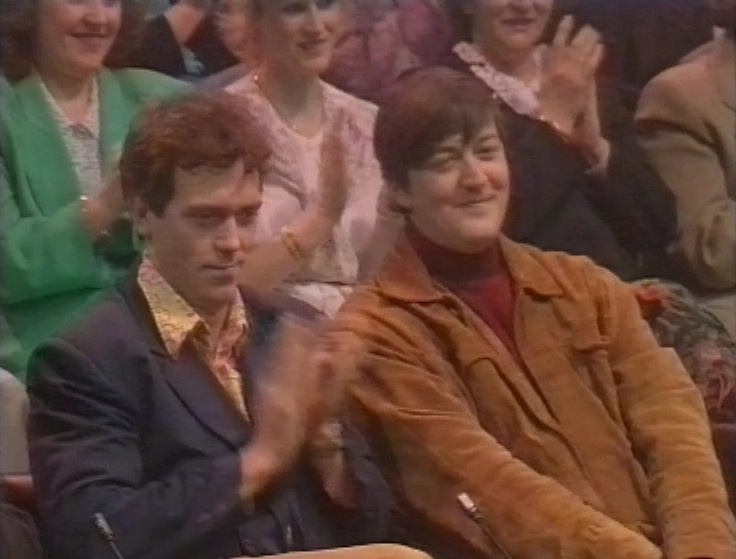 Then Stephen Fry has his say. Then, a psychologist declares astrology to be science because it’s ‘open to investigation’ but admits that in his investigations, most subjects had ‘made mistakes’ (presumably his euphemism for failing the experiments). After that spirited exchange, another astrologer, Carole Golder, claims that different star signs are more or less compatible with others, so they found 12 couples to see if this matched up. Naturally, the distribution of star signs wasn’t even, so several men ended up with no partner, while some had more than one. I don’t think this was the best test they could have devised, but I suppose it was a lighthearted way to end the programme. This is a deeply upsetting episode. I watched some of it through my fingers, not because Randi’s demonstration of Psychic surgery was too gruesome. he showed some film of psychic surgeons working the Philippines, then gave a nicely bloody demonstration of it in the studio. But this was just regular sleight of hand. The next item was what horrified me. Next, and even more frightening, he wraps a bit of gauze around some surgical scissors and pushes them deep into a patient’s nasal cavity. This was the bit that had me shuddering. What would happen if he slipped? But of course, it’s OK because he administers an injection. A magical, invisible injection. ‘Etheric injections’ apparently. After the film, he’s grilled by Dr Natalie MacDonald of the BMA ethics community, who’s fairly clear about the numerous abuses shown in the film. Turoff waves off these criticisms saying that people come to him after the medical community have given up on them. He also claims to have evidence that he’s cured patients of cancer, although we don’t see any of that in the programme. They talk to a woman who takes her child to see Turoff, and another who claims Turoff cured (or alleviated) her son’s cerebral palsy. 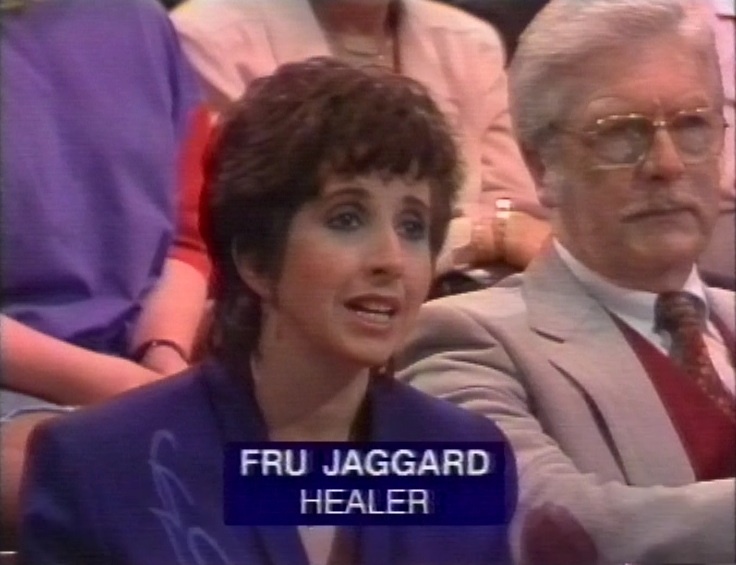 Fru Jaggard, a ‘healer’ emphatically says it’s time for a proper scientific study. I’ll bet if ever she took part in one, she’d soon claim the evil scientists were ignoring all their anecdotal evidence and insisting on controlled studies, due to their close-mindedness. “I’m prepared to offer my services to any casualty department in the land” she says. A horrifying thought. A very strident woman tries the “what if you were very ill in the future” gambit with Randi, clearly not knowing much about his history. Of course, he says he wouldn’t use a healer. She seems very offended by the idea that someone wouldn’t choose a healer, so Randi asks her to identify herself, and she says she’s Staphen Turoff’s wife. We can judge the honesty of Randi’ position because he’s had several extremely serious medical conditions over the intervening years, but conventional, science-based medicine has so far kept him alive and well, and he’s not been close to a healer. I’ve looked for Turoff on the internet, and it seems that he’s still working, but these days he appears to be regarded as a semi-mystic. He’s certainly got the long hair. After that rather depressing episode, back to the lighter end of woo with dowsing. 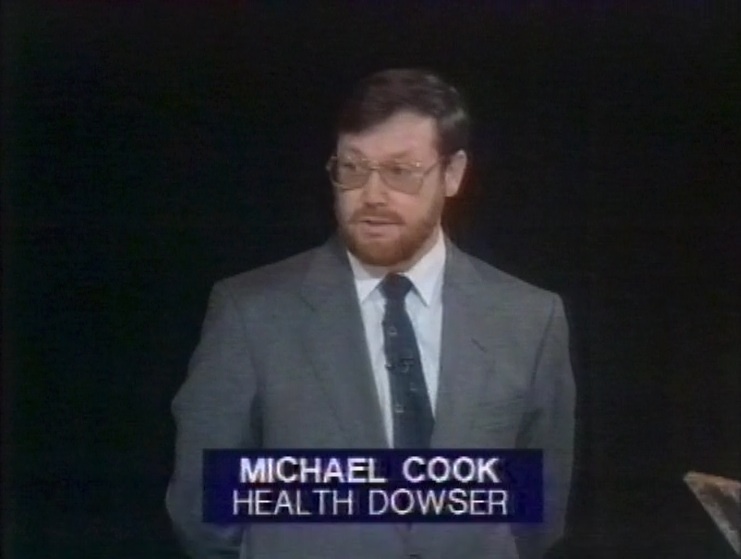 After a brief introduction to the subject, Randi introduces Michael Cook, a ‘Health Dowser’. His claim is that he can identify the location of ancient monuments on a map using a pendulum. They’ve prepared a blow-up of part of an Ordnance Survey map with a 6×6 grid, and he has to use his magic crystal to find the location of the ruins. Remarkably, he hits it dead on. 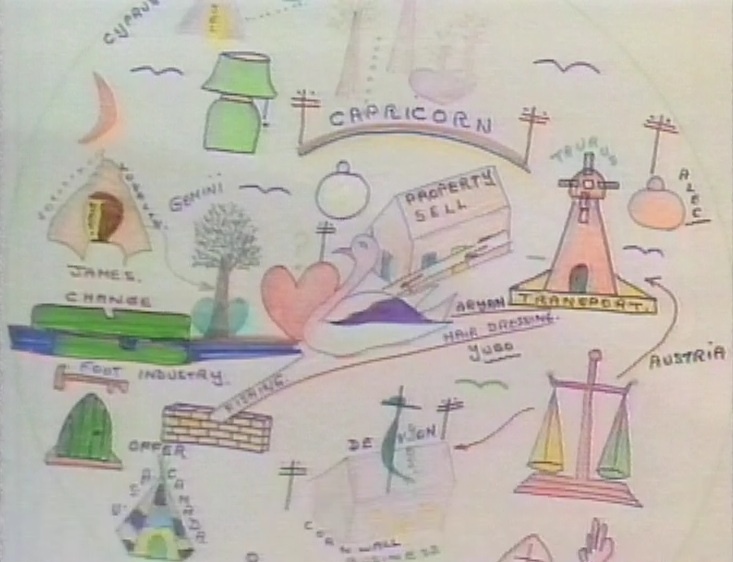 In his book, Randi says that there were several times when the map, along with a marker showing the location of the ruin, were visible either during rehearsals or when being brought into the studio, and there was opportunity for someone to have seen the correct answer before the show was taped, although there’s no evidence at all that Cook or someone with him saw anything. In the book, Randi says that, based on his success here, Cook expressed an intention to try for his (as it was then) $10,000 prize. I can only presume he failed for didn’t try. The next test was always going to be a bit inconclusive. Two other ‘experienced’ dowsers identified positions on the studio floor that were either positive, negative or neutral, with the idea that certain places had a negative effect on people’s wellbeing, something the dowsers call Geopathic Stress. Cook had to do his magic crystal wiggling, and drew some conclusions about the three spots. 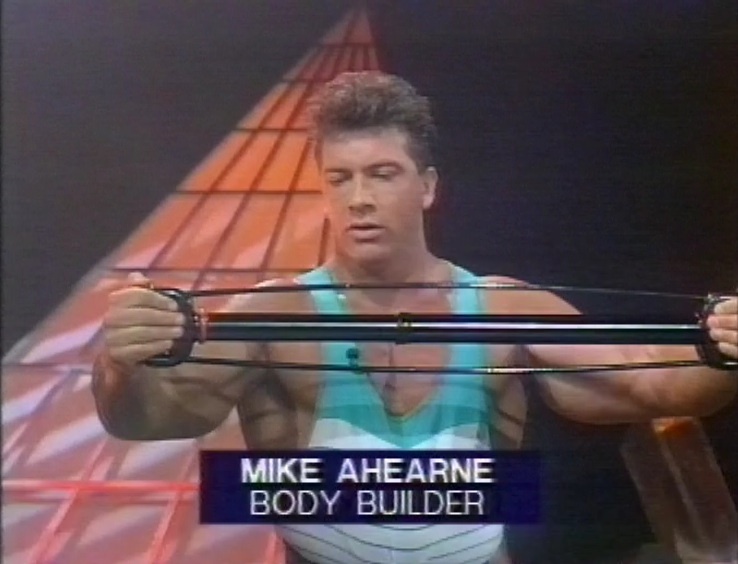 In order to test his (the presumably the other dowsers’s) theory, they brought in a bodybuilder, Mike Ahearne, to assess whether each spot made it easier or harder to use his bullworker. The end result is that each spot he tried it in felt harder than the previous, which is what you might expect from simple fatigue. Not a wonderful test, and I’m sure if his million dollars was up for grabs the protocol would be a tad stricter. 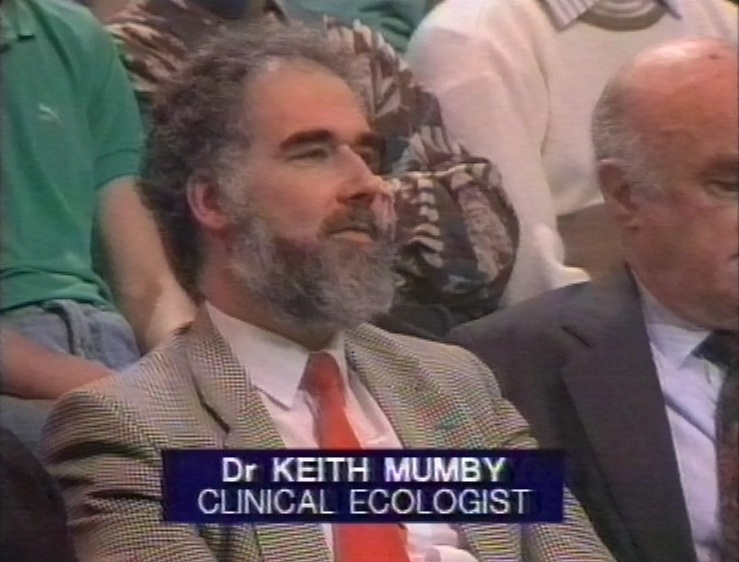 Next, Clinical Ecologist Keith Mumby talks about areas with geopathic stress causing disease. He identified a particular street in Yorkshire that had high levels of geopathic stress, and they took several dowsers there to check it, along with two other streets, to compare. The dowsers failed to identify the ‘bad street’, and Mumby launches into the usual special pleading. The dowsers hadn’t attuned themselves, perhaps geopathic stress isn’t the reason it’s a bad street, anything except the idea that dowsing is nonsense. Then, after a contribution from Sue Blackmore, they talk to John Tate, the father of Gennette Tate, who disappeared 13 years previously. He told how dowsers would write to him asking for photographs to dowse over, locks of hair, personal belongings, to the extent that the family no longer had any photographs left as they were never returned. This alone is heartbreaking. 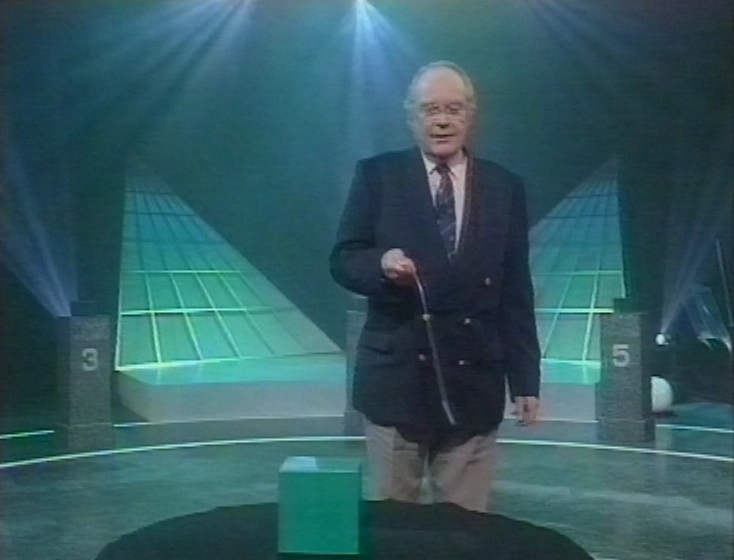 The final guest is Clive Thompson, a mineral diviner, who uses a fantastic wobbling rod to do his divining. It’s definitely top of the range for dowsers, and I’m surprised it’s not used by all of them, it looks so great. His task was to detect a piece of zinc hidden under one of several boxes. He didn’t do any better than chance. Randi demonstrates his skill at spoonbending as an opener. 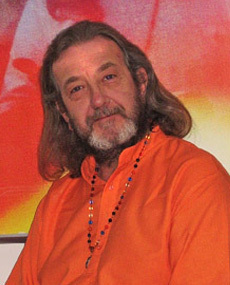 The healing power of crystals is the main subject of the programme. 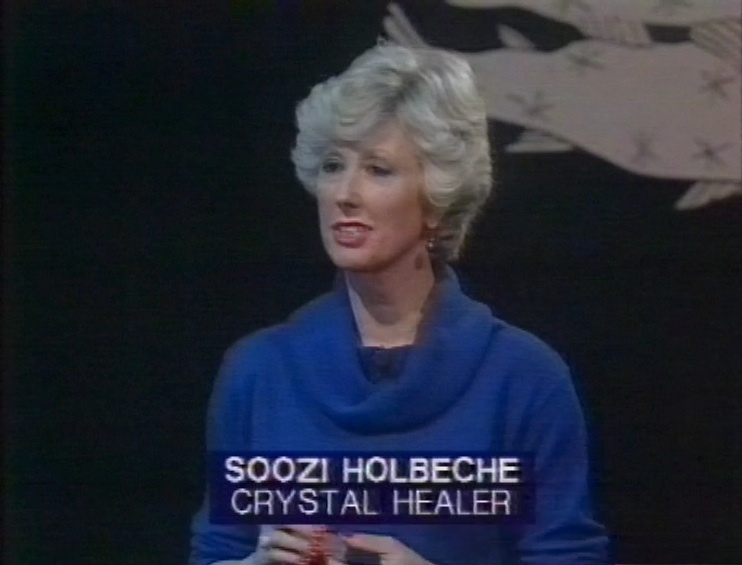 The first guest is ‘Britains best known crystal healer’ Soozi Holbeche. The demonstration uses ‘applied kinesiology’ and to help with the demonstration is actress and journalist Fiona Richmond. Applied kinesiology is a supposed diagnostic technique which seems to involve pushing down on someone’s outstretched arm to test if they’ve been ‘weakened’ by an allergen or some other thing you want to test. The test is based on a crystal which Soozi has divined to be ‘good’ for Fiona. She first does the ‘muscle test’ by pushing down on Fiona’s outstretched arm, and is able to push it down easily. Then, while Fiona’s holding the crystal, she’s suddenly unable to push the arm down. Impressive stuff. But the real test is next, as the healer has to pick out the crystal from a bag of seven different similar-sized objects all hidden in pouches. She missed it completely, and instead picked one of the other pouches, all of which contained rat poison. Next, thought transference. A woman attempts to send ‘healing thoughts’ to her husband. He’s rigged up to a device which measures ‘microvolts’ – which sounds like a scientology e-meter measuring changes in skin resistance, and was built by Norman Knight. 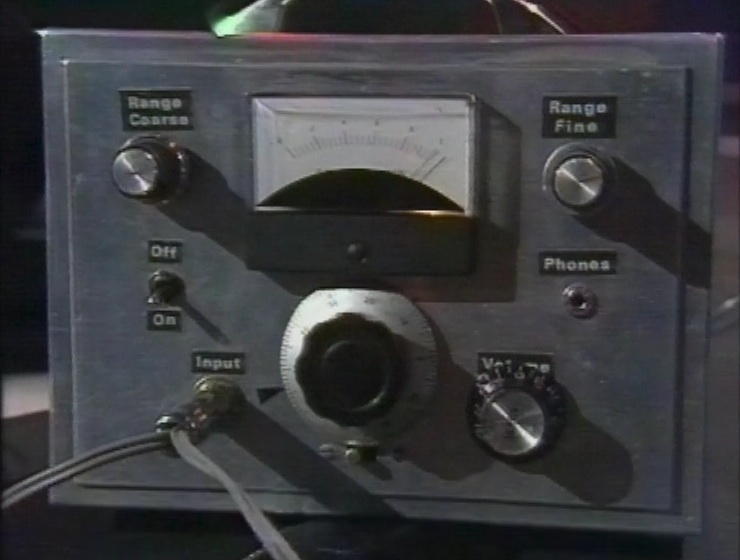 Randi asks “Norman, would you allow an electrical engineer to look inside that box?” Norman: “Most certainly not. I’d rather get it patented first.” And can you blame him? Just look at it! After a brief discussion about the business of New Age, the last test is ‘Aura reading’. James Garvey can read people’s auras, even behind screens, but better than that, he can draw a whole picture of what your aura says. For the test, five people are standing behind a screen, in positions marked A-E. 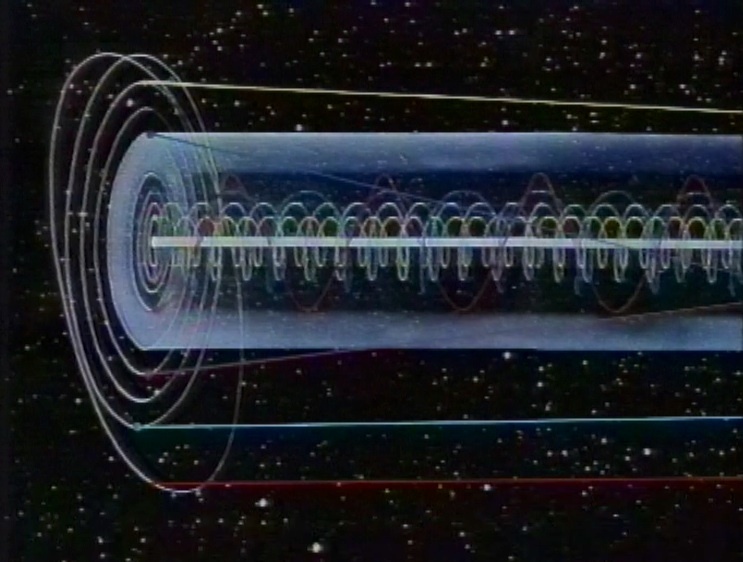 He says he can see the auras, and Randi calls out the names of the five people at random, and Garvey has to place them in the correct position in front of the screen. He got 2 out of 5 correct, not much better than what you’d expect from chance. To open, Randi demonstrates how to forge a signature by copying it upside down. The first test a psychometrist called Petrene will try to prove that objects get an imprint from their owners by matching keys and watches from five different people. 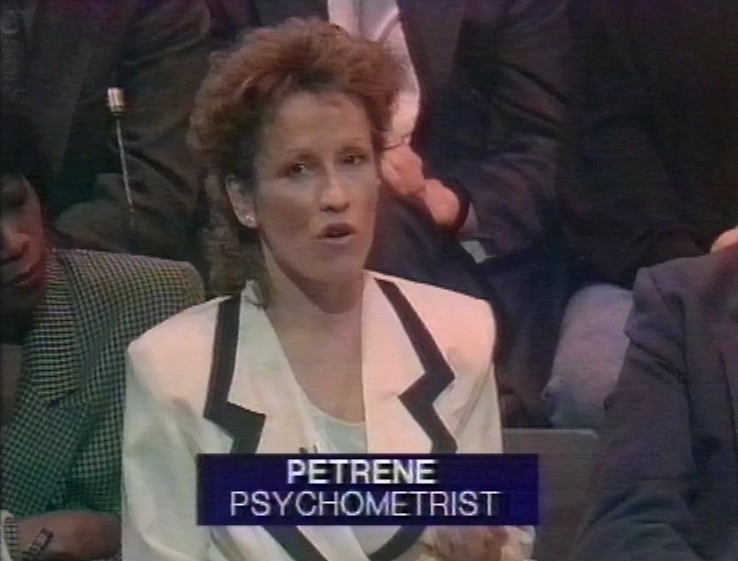 Petrene only scored one right out of five, exactly what you’d expect from just guessing. 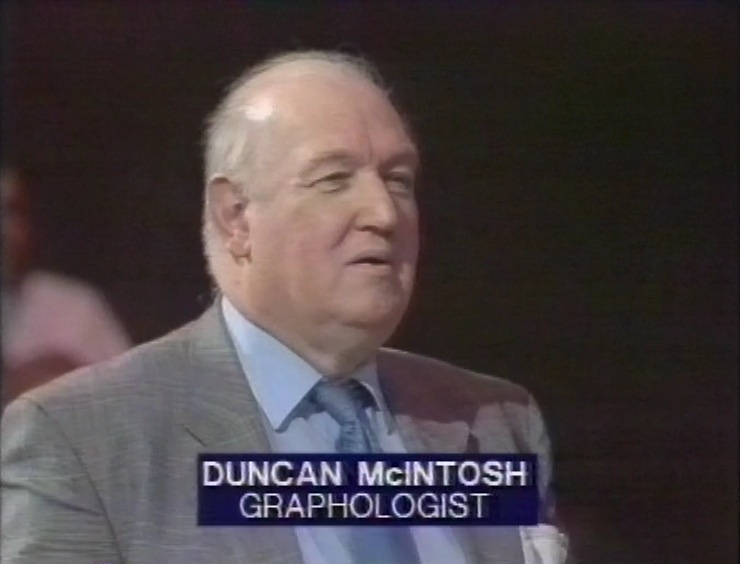 Next, the programme looks at Graphology, the idea that you can tell a person’s personality and abilities from a sample of handwriting. Duncan’s challenge was to match five handwriting samples to five different careers. Once again, he got one correct out of five, exactly what random chance would expect. 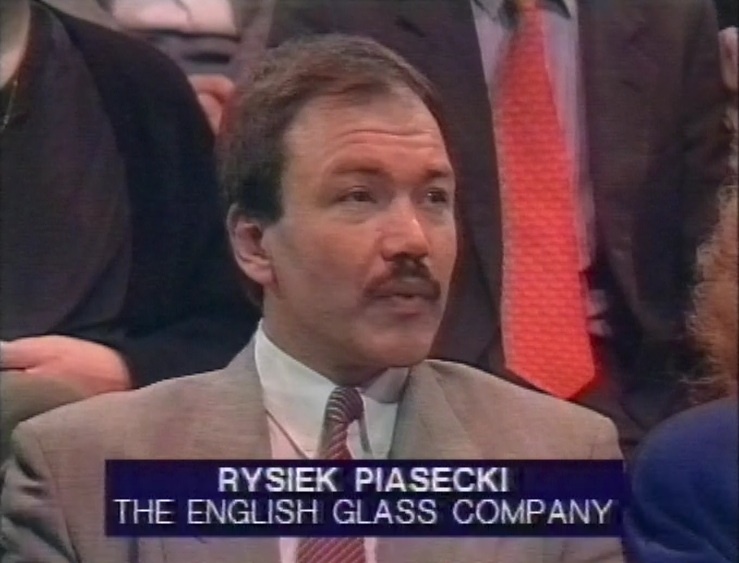 One lesson can be taken from this programme – don’t work for the English Glass Company as they use graphology as part of their recruitment process. 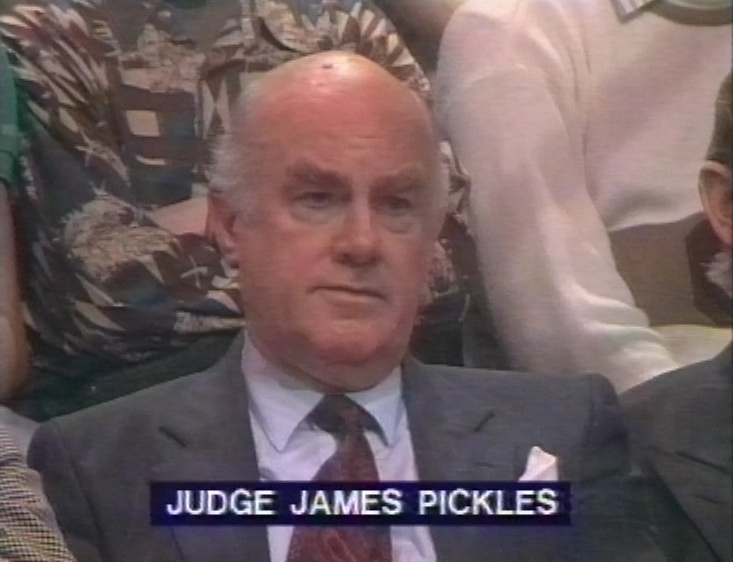 Rysiek Piasecki is totally convinced of its efficacy as a tool for judging candidates. 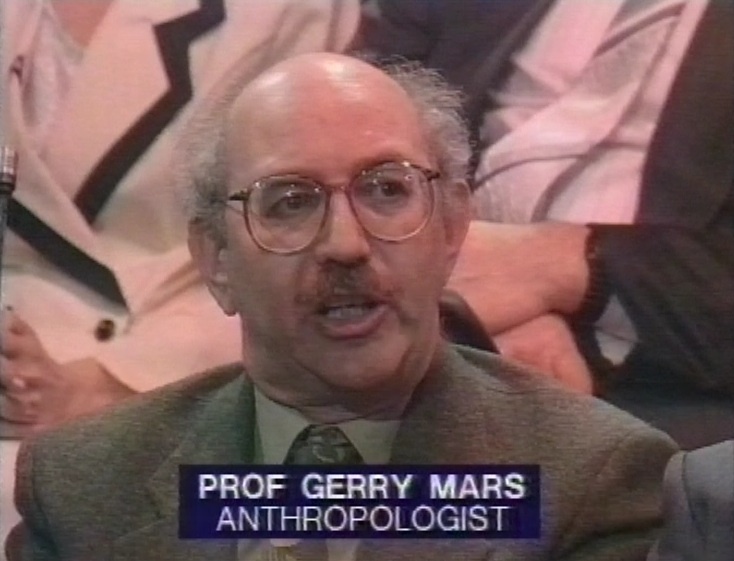 On the other hand, the wonderfully names Professor Gerry Mars thinks it’s a type of magical thinking. 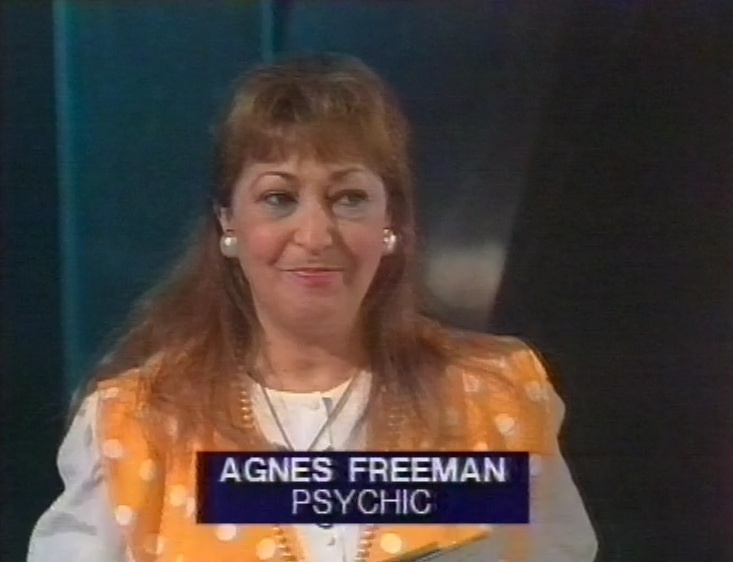 For the final test, psychic Agnes Freeman claims to be able to divine things about a person just from a photograph. She was asked to work out if the subjects of five photographs are alive or dead. She missed the only dead person there, and mistakenly identified a living person as dead, so it was about as successful as the rest of the tests. And that’s the last test we have in the series. Agnes had hoped to go forward to try for Randi’s prize. I don’t think that happened given this result. 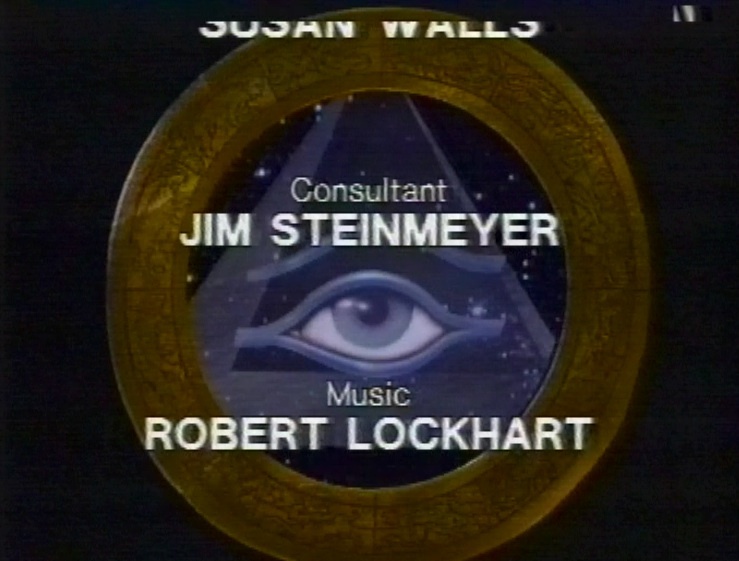 One final observation on the programme is that the programme consultant was Jim Steinmeyer, renowned magician and designer of magical illusions. His book, Hiding the Elephant, is a fascinating book about the history of magical illusions and well worth reading. Following the last episode, there’s a trailer for The Golden Child.